If you studied business in college or work for a company that develops products I am sure you are familiar with the product life cycle stages. All products have a lifespan and go through the general stages of its cycle. The first is development. This is a involved process that typically uses a lot of resources and returns no revenue as there is not a product to sell yet. Then you move into the introduction stage as the product becomes available on the market and progresses on through the remaining stages. In my experience the development stage does not and should not stop once the product is introduced to the market. Products evolve and are modified and improved during its life cycle. Often times when you develop a product you enter the introduction stage with a minimum viable product (MVP). This is a product that offers the minimum features and functionality that is deemed acceptable to the market. This helps shorten the time to market so the product can begin generating revenue. Once the MVP is released the development continues so the next run or model can offer more to the end user. Another reason the development needs to continue is because once a product hit the mass market and consumers start to use and abuse the product issues might be discovered that were not found during initial testing. Take the Mini Travelmate for instance. The idea behind the Mini Travelmate was to provide a more compact and economical version of the original Travelmate. To accomplish this, the large plastic plate was eliminated from the Mini and replaced with two smaller cross plates. This reduces the weight of the product and minimizes the amount of raw materials needed for production resulting in a lighter and more cost effective product. 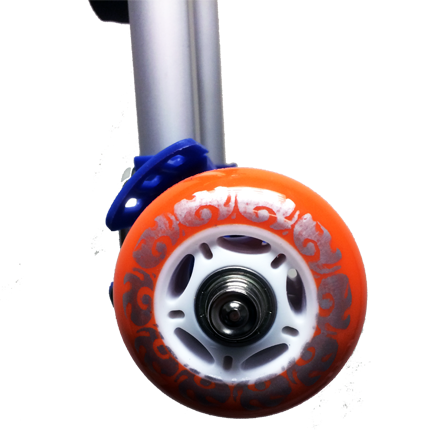 The other major changed was we eliminated using the polyurethane razor wheels and replaced them with less expensive rubber wheels. The design modifications’ net result is a lighter more compact and less expensive version of the Travelmate that delivers the same convenience and maneuverability. However, now that the product has been on the market for almost a year we have had to make some changes. 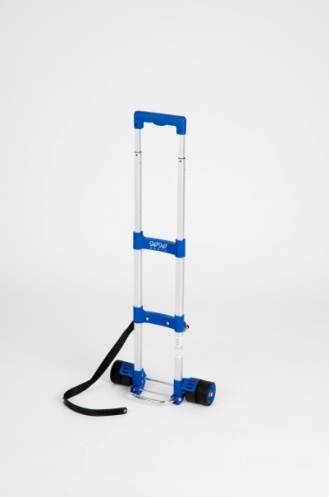 After the Mini Travelmate was on the market for a while and sales began to increase we were getting some customer complaints that the wheels were not rolling very well. Another issue was that some customers complained of a strong odor when they opened the box. We eventually pinpointed the odor to the wheels as well. So, the development of the mini has continued on through the life cycle stages and we have stopped using the rubbers wheels and went back to the good old orange razor wheels. The net result of the changes? A lighter, fully assembled, less expensive version of the Travelmate that rolls smooth and doesn’t smell. And, most importantly, happy customers. The other lesson here is to speak up. Don’t be afraid to call a company directly (preferably before you post a horrible review) and share your opinion and experience. Some companies actually listen. At least we do at Go-Go Babyz so if you have a question, concern, or complaint make sure to contact our customer service department. Does The Travelmate Car Seat Luggage Strap Have Wheels? Here is another post based on some FAQ’s we get at Go-Go Babyz. A common questions is “does the Travelmate Car Seat Luggage Strap have wheels?” I will answers this and work in some other common questions in to this post. The answer to the question is no. The Travelmate Car Seat Luggage Strap is simply, well, a strap. 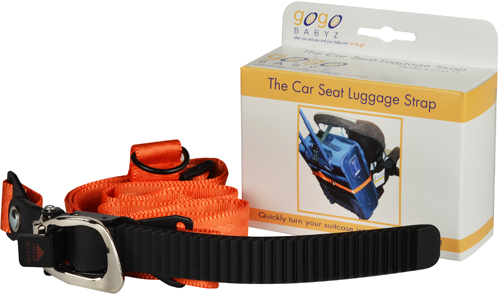 The strap is used to attach your toddler car seat to your carryon luggage which provides the wheels to transport your child in their car seat through the airport. Basically, you use the strap to convert your car seat and carryon into an airport stroller. In that answer I answered another common question; “does the Travelmate Car Seat Luggage Strap come with a seat?” Again the answer is no. You provide the car seat and carryon and we provide the strap to connect the three together. “Oh. So it’s just a strap”, you say. Well, yes. That is why it is only $19.99. It’s an easy, economical solution to get your kids and their car seats through the airport. It’s a great product for someone who usually travels with a carryon bag and those who do not travel often enough to want to spring for one of the other Travemate products. Whenever you create a product that requires other items to function you invite the possibility for operational issues. One common issue we hear about is the stability and or balance. The most common cause of this is the carryon and how it is packed. There are so many different type and size carryons that it is hard to create the perfect formula for optimal performance. It is not an exact science but there is a great rule of thumb: the more balanced your carryon is by itself the more stability and balance you will have with the Travelmate Car Seat Luggage Strap. For example, if your bag is only half full it may not be able to provide the stability you need optimal performance and stability. At the same time, if the bag is fully packed but the items are not packed well, say the heavy items are on the top, you will have stability issues because the bag itself is top heavy. The best strategy to ensure proper performance is to make sure the bag is 75-100% full and the items are packed with the heaviest items on the bottom. You need to remember that the carryon must be able to support the extra weight of a car seat and a child so if there isn’t enough in the bag the bag will begin to squish when you tighten the strap resulting in an unstable stroller. So, if your carryon is sturdy and balanced you should not have an issue once you attached your car seat to the bag with the strap. Buying a car seat can be a daunting task. There are so many options and so many things to consider. Here are 5 tips to consider during the process. How is the car seat installed into the car? Latch system, seat belt, both? Make sure the seat you are considering is designed for your child’s age & weight. Make sure it is easy to clean, we all know how messy babies can be. Make sure it has an adjustable 5-point safety harness, preferably one that has a safety release feature so your baby can’t accidentally undo the harness. Make sure it fits in your car. Car seats today are HUGE and if you have a smaller 2-door vehicle, some of the seats today might not fit very well. In addition, safety goes without say. 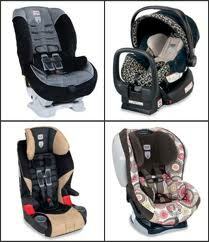 Make sure the car seats you are considering have all the proper safety features and meet all of the safety standards. What Travelmate Car Seat Stroller is Best for Me? The original car seat stroller, the gogo kidzTravelmate, used to be a lonely product in its own category. Now we have the Travelmate Product Family which has five products that conveniently turn your car seat in to an airport stroller, and more. The Travelmate Family now consists of the original Travelmate (QRKIDZ), Mini Travelmate (NMTM), Travelmate Deluxe (TMDX), Travelmate Deluxe Cruizer (TMDC) and the Travelmate Car Seat Luggage Strap (CSLS). In order to decide which Travelmate is best for you the first question you need to ask is will you be using it with an infant car seat or a toddler car seat? If you will be using it with a toddler car seat any of the five Travelmate products will work as long as your car seat is compatible. If you are going to use the Travelmate with an infant car seat you will have to use the Travelmate Deluxe or Deluxe Cruizer. These are the only two Travelmates that work with both infant and toddler car seats. Another factor to consider is what you will be using the Travelmate for? If you will only be using it to transport your child and car seat through the airport then any will work but the Travelmate, Mini Travelmate and Travelmate Car Seat Luggage Strap are designed specifically for that purpose. The Travelmate Deluxe and Deluxe Cruizer, on the other hand, are a bit larger with front and rear wheels and a foot brake so both can also be used as a travel stroller. So, if you do not want to bring your bulky stroller on your trip but will need a stroller then the Travelmate Deluxe or Deluxe Cruizer will be your best choice. In addition, because it can be used as a compact stroller, The Travelmate Deluxe and Deluxe Cruizer are great for quick errands when you don’t want to load up your cumbersome stroller. A note on the Travelmate Car Seat Luggage Strap: This product is a large strap with a quick-release ratchet buckle system that is used to attach your car seat to your carryon luggage allowing you to transport your child in their car seat while utilizing your luggage as the wheels and handle. So, before you make your purchase please make sure that you will be traveling with a roller carryon, otherwise the Travelmate Car Seat Luggage Strap will be of much use to you. For more information on compatibility and Travelmate product comparisons please visit the links below. 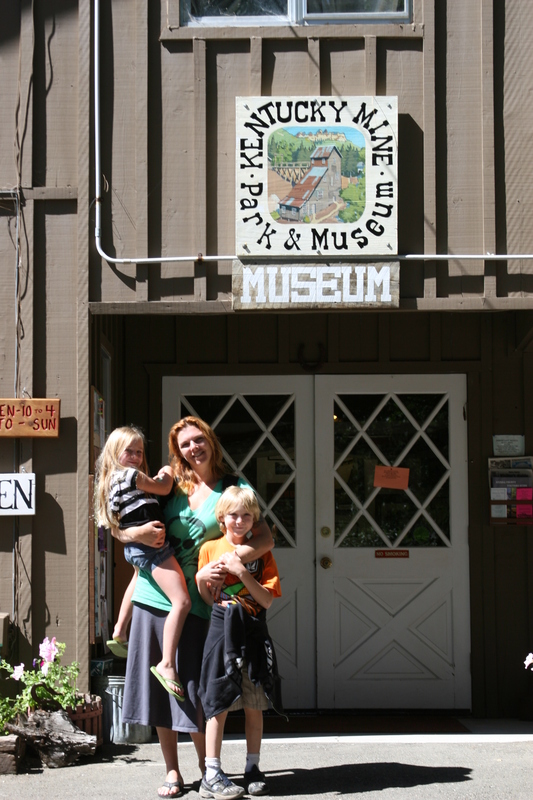 I don’t know about you but traveling can be stressful enough for me without kids. I have not been known to be the best traveler in our family; I get anxious, tired, and irritable. Add a couple kids to the mix with all the gear that comes along with them to traveling through a crowded airport and it just compounds the stress. I must admit, however, that I get better each trip. The Travelmate has definitely been a lifesaver and played a major role in easing my travel woes. That being said, even the greatest and simplest product can cause frustration when using it for the first time with a long line of anxious travelers behind you. The simplest task becomes near impossible. Below are some tips for you to consider BEFORE you travel when you are taking your Travelmate to make your traveling with kids more relaxed and enjoyable. Get to know your gogo Kidz® Travelmate; don’t wait until the day you travel. Practice attaching it to your car seat. Once you have done it once or twice you will be a pro and will be able to easily attach or detach it in 30 seconds; even with your child sitting in it. Going through security these days can be stressful and enduring, especially with baby in arms. With FAA and Airport regulations constantly changing, the airport security machines are too. As you near the x-ray machine, you will need to take your child out of the car seat, but leave the gogo Kidz® Travelmate attached, if it appears your seat will not fit through the machine, you may simply remove the quick release wheels for added space. If, after removing the wheels, your car seat will still not fit just ask one of the security personnel to hand wand your car seat with the gogo Kidz® Travelmate attached. Getting to the gate; if you have purchased a seat on the airline you can wheel your car seat right on to the plane. 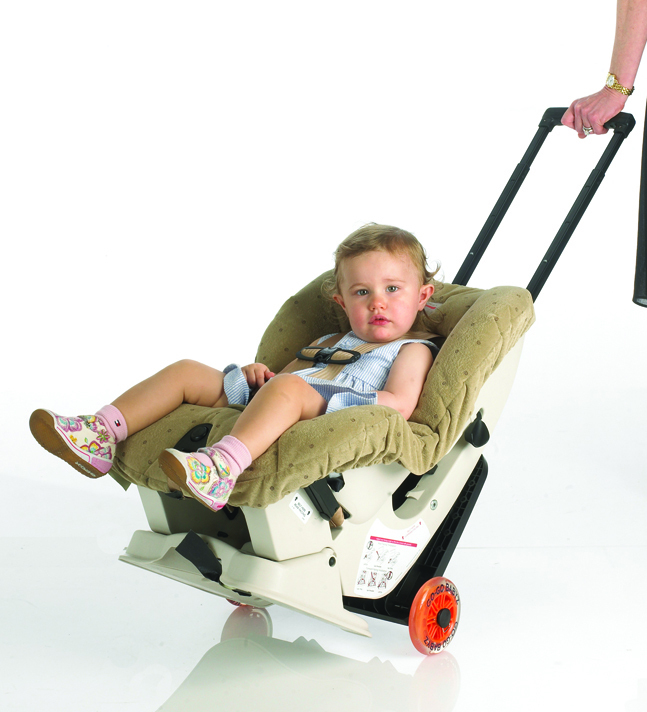 Wheeling it to your assigned seat is determined by the width of your car seat and the width of the airline aisle. You will probably want to lift your car seat up when you get on the plane anyway to place it in your airline seat. Traveling alone with your little ones? Just ask a flight attendant to carry it to your seat for you. Checking your car seat at the gate, again you can wheel your car seat all the way there. Your car seat might not fit down the aisle; If you will be using your car seat on the airplane, take your child out of the seat just prior to boarding. Wheel your car seat onto the plane and put the handle in the lowest position so at the last minute, you can pick up your car seat by the gogo Kidz Travelmate handle to carry down the aisle of the plane. Carry On’s; Traveling with a car seat, child, toys, entertainment and other random necessities is difficult. Eliminate the stress by eliminating the number of carry ons! While the gogo Kidz® Travelmate can carry your car seat and your child, your diaper back pack can carry a few “new” toys, along with diapers, a change of clothes, DVD player and of course, a book for yourself. You can do all this and still have a hand free for holding on to your ID and boarding pass. If you do not have a separate seat for your child on the airplane, take advantage of the easy ability to use your car seat as your stroller through the airport and gate check. This will allow you to safely and securely have your child ride through the airport and have your car seat for layovers, or simply at your final destination. Remember, the taxi cab will most likely NOT have a car seat for the ride from the airport to your destination. Want to find out the aisle width on the plane or info on your seat? Below is a link to a great site, full details of the good seats, width, etc. on your airline by type of plane. So, Kerry & I did travel over the long weekend. We didn’t travel by car nor did we travel with kids. That’s right, no kids! We left on one of our rare no-kids weekend. We picked up my sister, dropped the kids off at my mom & dad’s and headed to Vegas. Even though we did not get to try out any of our road trip tips, we got to see some parents struggling in the airport with kids. I saw everything from too many bags, giant car seats, messy food, to over-sized strollers. As the maker of the Travelmate, this is one of the main topics we like to discuss. My plan was to wait a few weeks to get into the air travel topic but after being in the airport this weekend, I have to start now. For this post I will just touch on the topic and respond to what I saw this weekend. Since this is what we deal with the most, there will be lots of discussions throughout the travel season. To start – the number one goal for me is to make travel with kids as simple as possible. That can’t be done when you are lugging around a heavy, awkward car seat, extra carry-on bags, and pushing a large stroller. In all seriousness, this blog was created to be a resource for parents on the go. We make travel products so there will be some plugging. I urge you to not get scared away and continue to follow us through the travel season and PLEASE add your comments and tips. Let’s help this really take off. Being a parent is a hard job; let’s do what we can to make it easier. So, stay tuned – more is coming. I encourage you to browse all the posts and add what you can, what you think can help others. You might just help change a potential disastrous vacation into the first of many cherished vacations.